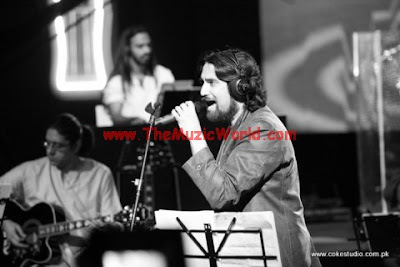 NOORI performed the song KEDAAR in the last episode UNITY of COKE STUDIO SEASON 2. 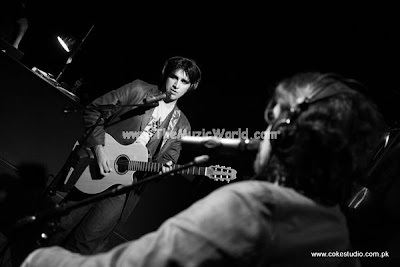 KEDAAR is the song which NOORI composed specailly for COKE STUDIO performance. 'Kedaar' means powerful and invincible and this song speaks of an awakening and a renewed awareness. 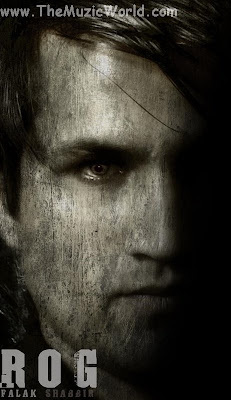 To download the song KEDAAR , performed by NOORI at COKE STUDIO,click on the given link below and on the AGREEMENT page 'RIGHT CLICK' and 'SAVE TARGET AS' n the given links. To listen the audio, click on the blue PLAY button. After their nice performances in the first season of COKE STUDIO, STRINGS performed in the last episode of the COKE STUDIO SEASON 2. They performed TITLIYAAN from their latest album KOI AANE WALA HAI. Violinist, Javed Iqbal brought a soothing dimension to the song, complementing the vocals of both Bilal Maqsood and Faisal Kapadia. To download the song TITLIYAAN , performed by STRINGS at COKE STUDIO,click on the given link below and on the AGREEMENT page 'RIGHT CLICK' and 'SAVE TARGET AS' n the given links. To listen the audio, click on the blue PLAY button. PAK MEDIA REVOLUTION presented a special Independence Day song, RAKH LO BHARAM which featured lots of promosing underground artists like ZEESHAN, ARSLAN ASIF, RIZOO, MIKI (AKASH THE BAND), SAMI (LAGAN THE BAND), FAHAD (AKS THE BAND), WAQAR (RAAH THE BAND) and ADNAN (SOCH THE BAND). 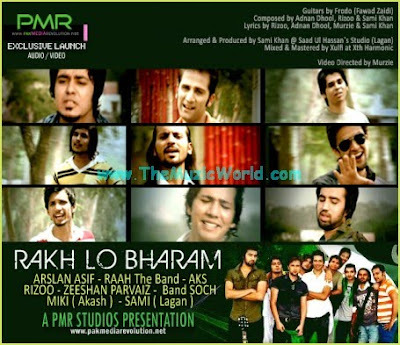 This song RAKH LO BHARAM is composed by Adnan Dhool, Rizoo & Sami Khan and lyrics is by Rizoo, Adnan Dhool, Murzie & Sami Khan. MURZIE directed the video of this song featuring all of the artists mentioned in the above post. This song is arranged & Produced by Sami Khan @ Saad Ul Hassan`s Studio (Lagan)and mixed & mastered by Xulfi at Xth Harmonic. To download the audio and video of the song RAKH LO BHARAM by various artists, 'RIGHT CLICK' and 'SAVE TARGET AS' on the given link below. To listen the song, click on the blue PLAY button. After few brilliant performances at COKE STUDIO SEASON 2, ALI ZAFAR ended his journey of folk music in this episode with the song NAHI RAY NAHI. 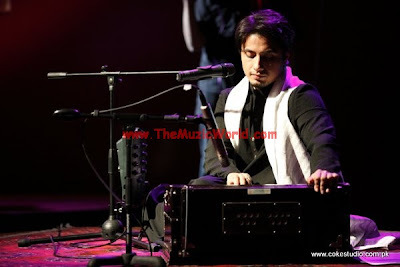 ALI ZAFAR did a keyboard oriented song,played the keyborad as well this time and show his versatality very well. 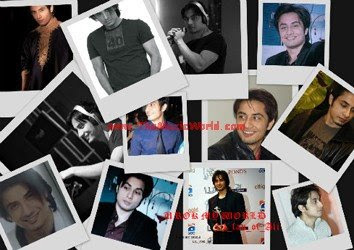 BAQIR ABBAS laos helped ALI ZAFAR is making this song a memorable one. To download the song NAHI RAY NAHI , performed by ALI ZAFAR at COKE STUDIO, 'RIGHT CLICK' and 'SAVE TARGET AS' n the given links below. To listen the audio, click on the blue PLAY button. The last episode of COKE STUDIO SEASON 2 was all about UNITY, as it was the INDEPENDENCE DAY SPECIAL episode. 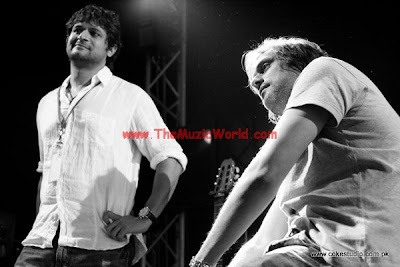 Few new artists like STRINGS and ARIEB AZHAR also performed in this episode. And I am going to share the performances of all these artists one by one in individual posts. 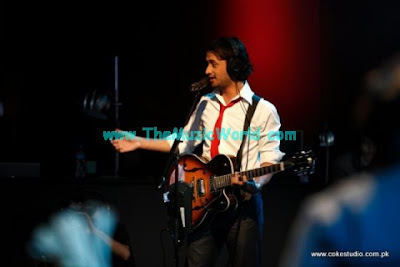 ATIF ASLAM debuted his latest single HUMIAN KYA HUA in this episode of COKE STUDIO SEASON 2. HUMAIN KYA HUA is written and composed by ATIF ASLAM and ahving a nice patriotic feeling. This song is all about unity, current sitution and problems which his countary is facing and having very nice lyrics. ATIF ASLAM got a great plateform to perform this song first time for his fans. To download the song HUMAIN KYA HUA , performed by ATIF ASLAM at COKE STUDIO, 'RIGHT CLICK' and 'SAVE TARGET AS' n the given links below. To listen the audio, click on the blue PLAY button. ZAIN UL ABIDEEN performed his hit single CHUE CHUE from his forthcoming album ZEAL in a live performance with FALAK. Lots of other guys also joined the song in the end of the song and made a hip hop version of the song by mixing some rap. It was a nice combination of different voices together and made the performance a nice one. To download the song CHUE CHUE (Live With FALAK) of ZAIN UL ABIDEEN , 'RIGHT CLICK' and 'SAVE TARGET AS' n the given link below. To listen the audio, click on the blue PLAY button. HADIQA KIANI is back with her latest album AASMAAN. HADIQA KIANI worked with lots of artists in this album. It was one of the most awaited album of the year and it is finally out now. And you can download the full album AASMAAN of HADIQA KIANI from THE MUZIC WORLD. To download the full album AASMAAN by HADIQA KIANI, 'RIGHT CLICK' and 'SAVE TARGET AS' n the given link below. To listen the audio, click on the blue PLAY button. 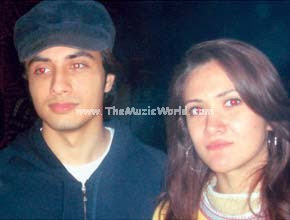 ZAIN UL ABIDEEN is not a new name for Pakistani music industry. 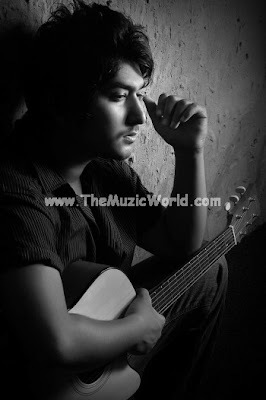 ZAIN has been involved in the Pakistani Music scene from Long time. His name is well-known in all the main production houses in Karachi. A Talented singer with an extensive experience in all kind of Vocal experiences, Zain is not only ambitious towards his musical career but honestly interested in making and doing good music to entertain people. Zain has also worked for the Geo television networks and sang the title track for “Koi hai jo humain hassaye” hosted by Umar shareef. Zain is also hosting a regular radio show on “Hot fm 105″ from past 8 months And has an extensive fan-following. ZAIN's Debut album “Zeal” is complete with 9 totally different songs, that are groovy and melodious at the same time. .... Hope that ZEAL will be out soon and till then, you can enjoy ZAIN's latest track CHUE CHUE. 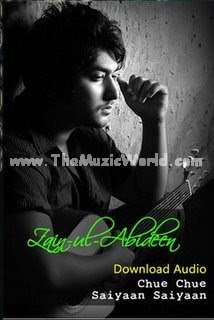 To download the song CHUE CHUE by ZAIN UL ABIDEEN, 'RIGHT CLICK' and 'SAVE TARGET AS' n the given link below. To listen the audio, click on the blue PLAY button.